​Positive Traits: Determined, forceful, emotional, intuitive, powerful, passionate, exciting, and magnetic. Negative Traits: Jealous, resentful, compulsive, obsessive, secretive, and obstinate. A Scorpio person will find that by focusing more intently on particular chakras, that their healing will be increased, as they vibrate at a higher intensity with these chakras. The Sacral Chakra is used by Scorpio people to increase and balance their need for creativity and beauty. It encourages relationships, sexuality and sensuality. Scorpio people will find that the Sacral Chakra will aid them in their health., ensure stability, create attachments and bring passion into their lives. Attributes - This stone will give you a sense of well-being. It helps with restful sleep; it invigorates you in your rests times. Improves your body awareness. Physically it gently improves your breathing, circulation, digestion and excretion. Message - Adventure, free time, fun and socialising – it’s holiday time. Focus - Spontaneous and optimistic you love experiencing new things, particularly with friends. Affirmation - I travel through life with my friends. Attributes - Star ruby sends you impetus, vigour and motion. It gives you the energy to be optimistic and cheerful. It promotes sensuality and sexuality. Helps you access your personal strengths. It is a warming stone that increases blood flow and stabilises your circulation. It fortifies the spleen and sexual organs. Message - Gain access to natural enthusiasm, generosity, warmth and passion. Focus - Pleasure, sexuality, sensuality and indulgence create a very exciting life experience. Affirmation - I release my true essence and infuse my world with spirit. Attributes - Aegirine is a stone that will send you sincerity and help you be virtuous. It promotes self respect, can be helpful with relationship problems, separation and grief. This stone helps you focus on your goals in life. Physically it is ideal for back ache and general pain, nerves, muscles, bones and hormonal imbalances. Message - Flexibility and adaptability are instrumental to getting the job done. Focus - Enthusiastic and genuine, you have a generous spirit; everyone is your friend. Affirmation - I enjoy building valuable community spirit. Attributes - Lemurian Seed Crystals are self healing crystals, they can share the knowledge of healing and are excellent for healing your self or others. They are generally very powerful when used for healing on all levels because they contain within them the pattern of their own healing. Message - Communicate with spirit through prayer, words, action and energy. Focus - Deeply spiritual and intuitive, you are keen to explore the realms of sacred ritual and ancient philosophies. Affirmation - I stand in the circle of light and commune with the spirit. Attributes - The main word for this stone is adaptability it allows you to cooperate with others while still maintaining a firm stand point. It helps you understand your experiences and grow from that knowledge. Physically it cleanses the intestine and tissues, improves the intestinal flora, aids metabolism and excretion. Message - Remain grounded through the tides of time and change. Focus - Honest and dependable, you have a strong sense of duty; you are a valuable friend. Affirmation - I see and appreciate the enduring quality of natural forces. Attributes - This stone has amazing healing energies. It encourages truth and purity. It bolsters one's sense of self, self-worth and confidence. It balances energy fields and aids in coping with frustration and burdens. This stone attracts and boosts wealth, abundance and health. It enhances mental capacity, promotes creative thinking, stabilises emotions and purifies the body it's an excellent healing stone. It balances the brain and nervous systems and strengthens the immune system. It cleans negativity from chakras and works well with other stones. Message - Gain attention and manifest goals into wealthy reality. Focus - Through exploration you gain wealth for yourself and endeavour to help others with your fortune. Affirmation - I invite prosperity into my prospective future. Attributes - South Sea Pearls are layers of aragonite, calcite and conchiolin. A protection stone, Pearl brings the gentle healing power of the sea. It is a stress relieving stone; relaxing, soothing and calming to the emotions. Pearl stimulates our intuition, imagination, sensitivity and adaptability. It helps our emotions become more harmonious and balanced. Calming and soothing to temper or feelings of fear. It enables you to more easily express feelings of love. Pearl helps with clarity in decision making and is helpful for endurance, organisation and for home life. Message - Allow inner light to guide through the abyss. Focus - With enthusiastic energy, you raise awareness by experiencing the world too many take for granted. Affirmation - I realise my true potential. Attributes - Moonstone aids your intuition and bestows a depth of feeling, helps with sleepwalking. It makes you more receptive to inspiration and impulses. It has been known to bring your hormonal cycle into balance and align with your natural rhythms. It help with problems relating to menstruation, menopause and after childbirth. Message - Intuition, visions, magic, receptivity. Focus - Mysterious and secretive, you have an irresistible, magnetic personality that powerfully influences others. Affirmation - I am enigmatic, intense and powerful. Attributes - Magnesite helps you become more flexible in you outlook on life, it eases stress, nervousness, timidness and irritability. It will teach you the art of active listening. Physically magnesite aids headaches, migraine, cramps, strain, colic and it will guard against heart attacks. Message - Close examination, action, prompt relief. Focus - You have a skilful, probing mind; others appreciate your skill, sensibility and credentials. Affirmation - I seek a catalyst to repair and restore well-being. Attributes - This stone brings a sense of community and promotes a willingness to help others and a need to commit to society. It endows creativity and craft skills to you. It stimulates regeneration of the cells, tissues and skin. It has been known to alleviate cellulite and the healing of scar tissue. Message - Inner ties, connections, harmony, sense of purpose and community. Affirmation - Soul groups and karmic connections help clarify my spiritual purpose. Attributes - With this stone you will become goal oriented and more efficient. Promotes patience, perseverance, discipline an more open hearted. Aids intensive learning with care and a systematic approach. It helps repair short and long sightedness, strengthens the nerves, relieves nausea and pain. Message - Identify the dangers; revive the body and spirit; take time to recover. Focus - You help people save themselves and you rescue those who can’t. Affirmation - A kind word and well-timed advice are life savers. Attributes - This stone sends you feelings of being invincible while promoting a strength of character, ethics and faithfulness to yourself and others. It will lead you to responsibility and objectivity. It purifies and strengthens the brain, nerves, sensory organs, glands and blood vessels. It has been know to alleviate the symptoms of a stroke. Message - Exhibition of romance, congeniality, grandeur and aristocracy. Focus - Your natural enthusiasm and charisma are contagious; you carry yourself with noble style. 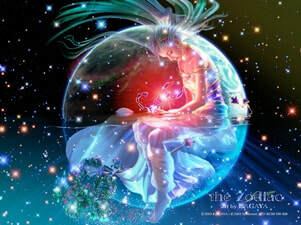 Affirmation - I enjoy spellbinding, elaborate and spectacular events. Attributes - This stone promotes self esteem, and strengthens your feelings of self worth. It enhances your powers of decision making without revisiting the original decision. It helps you become more outgoing and approachable. It enhances performance and staying power. This stone helps you avoid over exertion and over tiredness. It improves your bowel function. Message - Investigate the interactions between matter and energy. Focus - You have a natural ability to come up with innovative and appealing ideas that really work. Affirmation - I know the formula for success. Attributes - Copper brings beauty into your life, it promotes a sense of aesthetic, harmony and love for all things and people. It will help you with your creativity and it also promotes a sense of justice for all. This stone will help your fertility problems, ease cramps and menstrual pains. It also has been known to fortify the liver and brain. Message - Swift, articulate transmissions of truth and wisdom. Focus - You facilitate easy communication and networking, reconnecting people and places. Affirmation - I develop and maintain clear connections. Attributes - Sand is loose, gritty particles of eroded or weathered rock, varying in size from about mm to 2 mm in diameter, usually deposited along the shores of bodies of water, in river beds, or in deserts and is usually made up of eroded quartz. The healing properties are the same as clear quartz. It brings you clarity and neutrality. These particles strengthen your personal point of view and will also improve your memory. It improves you perception and increases awareness and clarity of thought. It will enhance your energy flow and fortify the nerves. Message - From a sand castle to a Buddhist mandala, impermanence is a spiritual truth. Focus - Generous, affectionate and happy-go-lucky, you enjoy the company of other people. Affirmation - I live a life filled with compassion, acceptance and simplicity.